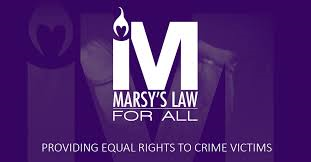 A bill in the legislature that would implement Marsy's Law may be going nowhere this session. That could mean continued confusion over what the intent of the victim's rights bill is. The approval of Amendent 6 gave new rights to crime victims. But it also unleashed uncertainty over whether law enforcement agencies may release the names of crime victims. A bill by state Sen. Lauren Book, D-Plantation, tried to clear up some of the confusion, but there's no companion bill in the State House. The absence of a companion bill would mean law enforcement across Florida continues to be "all over the map" on releasing names, says Barbara Petersen of the First Amendment Foundation. "I think that they need to pass a public records exemption that spells out how it applies, who it applies to, does the victim have to ask for confidentiality or is the information automatically protected?" Petersen said. "What information is protected? We don't know." Police in Petersen’s home city of Tallahassee, for instance will not release the names of any victims of crimes. But that differs in other jurisdictions. Petersen says it may take a lawsuit to clarify the meaning of the amendment. "It may need to be litigated if the legislature just abdicates and refuses to address the issue," Petersen said. "I would hate to see it come to litigation. I really think the legislature is doing a disservice to the victims and the public if they do not address this. And it's doubtful that they will at this late point in the game."